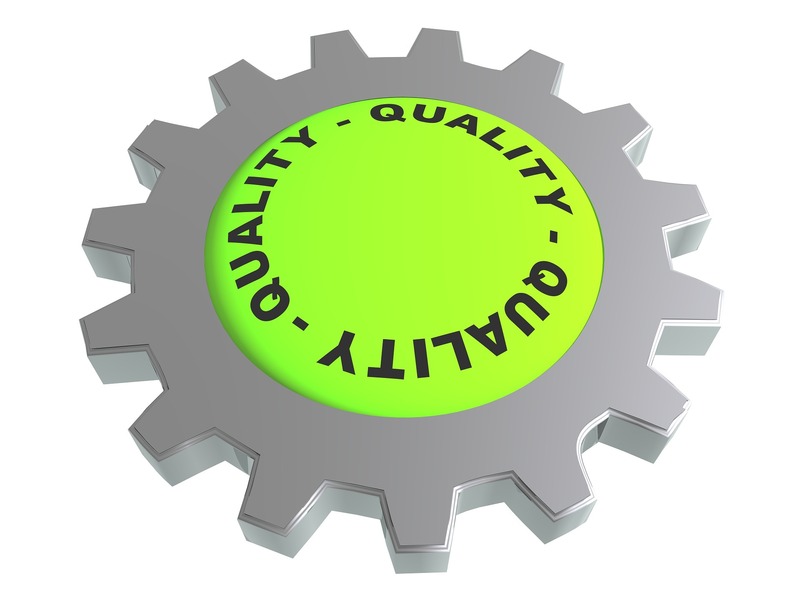 Having discussed what we mean by “quality,” it’s now time to explore how we approach its improvement. 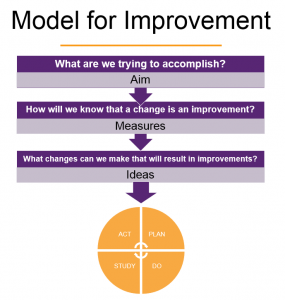 To quote one of the pioneers of quality improvement, Edward Deming, “a goal without a method is nonsense.” A simple, yet effective, method for improvement is the well-known Plan-Do-Study-Act (PDSA) cycle. However, before beginning the cycle, there are a few questions that must be answered. How will we know that a change is an improvement? Measures are needed to provide feedback on whether the changes being made are having the desired impact. The barnyard rooster Chanticleer had a theory. He crowed every morning, putting forth all his energy, flapped his wings. The sun came up. The connection was clear: His crowing caused the sun to come up; there was no question about his importance. Then came a snag. He forgot one morning to crow. The sun came up anyhow. Crestfallen, he saw his theory in need of revision. Without his theory, he would have had nothing to revise, nothing to learn. Once these questions have been answered, we test our ideas by performing the PDSA cycle. Based on the tests, we learn what works and what doesn’t work. And we can make improvements based on what we have learned. Plan: We begin the cycle of testing our theories by concretely planning our approach. Who? What? Where? When? Do: Next, we can start carrying out the plan. During this phase, we document our experience and collect data. Study: This is when we start to compare our predictions to the results. What did we learn? What conclusions can be drawn? 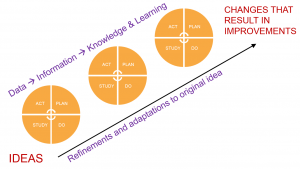 Act: What refinement or modifications need to be made? We then start the cycle over again. PDSA is an iterative process that begins on a small scale and gradually grows in size. As the original ideas are refined and adapted, we gain knowledge that results in measurable improvements.